A judge in Texas has dismissed one of the counts a grand jury had released against David Daleiden, the organizer of the Center for Medical Progress, which last year produced a series of undercover videos revealing Planned Parenthood’s trade in unborn-baby parts. The order from a judge in Harris County, Diane Bull, ordered dismissed a claim that Daleiden violated a state prohibition on unborn-baby parts trade when he asked questions and described himself as a procurer of body parts in order to obtain statements from Planned Parenthood officials. But federal law disallows changing abortion procedures to scavenge organs and prevents any profit in such transactions. The judge’s order dismissing the count on Tuesday pointed out that the state law regarding the transfer of organs has an exception, and the prosecutor in the Daleiden case failed to address it. “The prosecuting attorney must negate the existence of an exception in the indictment and prove beyond a reasonable doubt that the defendant or defendant’s conduct does not fall within the exception,” she wrote. The prosecutor’s failure means the indictment is void, and must be dismissed, she wrote. 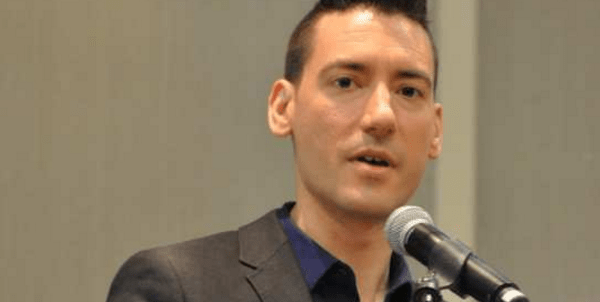 Daleiden has maintained that he followed applicable laws for investigative journalism in the course of the undercover investigation of Planned Parenthood, but he still faces a count of using a false ID to obtain the information. In a statement posted online, CMP said, “Judge Diane Bull’s swift dismissal of the bogus charge against CMP founder David Daleiden of trafficking human organs is the latest confirmation that the indictments from a runaway grand jury in Houston were a politically motivated sham all along. “In finding that the indictment was void on its face, Judge Bull’s ruling directly contradicts the district attorney’s argument that the indictment was valid despite the DA’s collusion with Planned Parenthood. The dismissal of the first indictment today sends a strong message to Planned Parenthood and their political cronies that colluding to suppress the First Amendment rights of citizen journalists will never work. The videos have prompted a number of states to defund Planned Parenthood and several congressional investigations have begun into the organization that gets half-a-billion dollars a year from U.S. taxpayers. One conclusion already reached under just one of the investigations was that there actually were profits in the baby body parts trade. WND reported earlier on a multitude of other questions also raised about the indictment in Texas. Daleiden and an associate were indicted by a grand jury assembled by Harris County prosecutor Devon Anderson, who has financial ties to a lawyer representing abortionists. At the time, officials with Operation Rescue, another cutting edge pro-life organization like Daleiden’s Center for Medical Progress, called for a new “untainted” grand jury. Anderson’s grand jury had indicted Daleiden and Sandra Merritt after they posed as executives of a fake biomedical research company to capture with a hidden camera Planned Parenthood doctors and clinic managers discussing the harvesting of fetal tissue for profit. Operation Rescue said the charges against Daleiden and Merritt need to be dropped or a special prosecutor “in no way affiliated with Devon Anderson, the Harris County district attorney’s office or Chip Lewis” needs to be appointed. Operation Rescue, whose chief is on the board of the CMP, explained it filed a 2013 complaint that resulted in a grand-jury investigation of Karpen, who was accused by former co-workers of murdering babies born alive during shoddy abortions. “Chip Lewis, Karpen’s attorney, falsely accused Operation Rescue of paying three former Karpen employees to testify against him and of ‘doctoring’ grisly photographs of babies Karpen had allegedly murdered, according to witnesses,” OR said. Further, Planned Parenthood lawyer Josh Schaffer “stated that during the grand jury proceedings, he and prosecutors maintained a ‘dialogue … about the details of the case, and kept that going through,’” court records reveal. “To further demonstrate collusion with the pro-abortion lawyers, an attorney for the National Abortion Foundation, Mr. Derek Foran, announced to the world via The New York Times that he had insider information and ‘learned about the indictments in Texas about a half hour before they were publicly announced,’” records state. The submission also explains Anderson’s grand jury violate a variety of procedural rules, leaving the indictment invalid. Among the offenses committed against Daleiden? The grand jury also was without “proper authority,” so the charge “must be quashed,” the filing explains. “Furthermore, the prosecutors have systematically leaked grand jury proceedings to unauthorized persons. There is no justifiable basis for this conduct and granting this motion to quash the indictments is the only appropriate remedy,” it said. Operation Rescue reported it fought with Anderson over an investigation into abortionist Douglas Karpen several years ago. He never was charged, despite “several eyewitnesses and photographs of babies who were said to have been born alive and murdered by slashing their necks and twisting their heads nearly off,” organization officials said. Cheryl Sullenger of Operation Rescue reported Anderson is well-known to be a close friend of Karpen’s attorney, Chip Lewis, and after Anderson’s grand jury “no-billed” Karpen, Lewis donated $25,000 to Anderson’s political campaigns. Further, one of Anderson’s staff members is on the board of the local abortion organization. WND reported Rush Limbaugh described the Texas indictments as a “rogue” prosecutor working with a “pro-abortion” staffer inside his own office. “So all that has to happen is that your rogue prosecutor, working in concert with your pro-abortion activist in the DA’s office, get[s] in the grand jury room and start[s] explaining all this to the grand jury, which is made up of your average Hillary voter, for all we know,” he said on Tuesday. “And you start explaining what really went on here. Here we have this great organization, Planned Parenthood, that’s trying to plan families and trying to protect women from the terrible, almost fatal disease of pregnancy, and here come these rogue agents disguised as journalists, but they don’t have immunity, and they’re the ones who’ve engaged in criminal activity,” he said. In the first undercover video released by CMP, Deborah Nucatola of Planned Parenthood commented on crushing babies. “We’ve been very good at getting heart, lung, liver, because we know that, so I’m not gonna crush that part, I’m gonna basically crush below, I’m gonna crush above, and I’m gonna see if I can get it all intact,” she said.